Cameron Kasky became one of the most recognizable faces of the March For Our Lives Movement (MFOL). After the horrible massacre at Marjory Stoneman Douglas High School, this senior helped catalyze a national movement that activated millions of inspired students and adults toward efforts for safer gun laws and better background checks. Senator Rubio, it’s hard to look at you and not look down a barrel of an AR-15 and not look at Nikolas Cruz, but the point is you’re here and there are some people who are not. For Kasky, a self-admitted ‘drama kid’, this became a moment that thrust him into the national spotlight. Though he had already catalyzed a passionate change within himself and others, he stepped up just a day after the shooting to crate the national #neveragainMSD movement. Now nearly eight months later, Kasky has grown once again. Last month he chose to step down from MFOL, embarking on a new mission to help bridge battle lines and strike out for bipartisanship – in politics and society. He has also become more self-aware of his strengths and weaknesses. Kasky now publicly apologizes for his treatment of Senator Rubio and hopes he can do so personally. He notes that he went into that engagement with the purpose, not of genuine conversation…but specifically to fuel his emotion toward embarrassing the Senator. Great job Cameron! I wish more adults could have the type of self-awareness that you’re developing and accountability that you’re taking on. 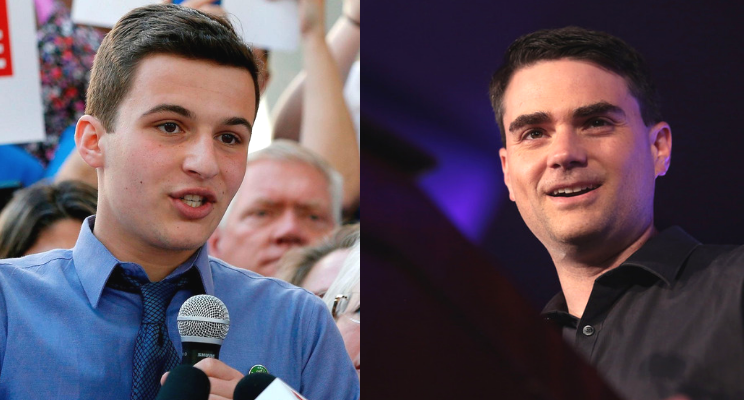 Recently I watched a terrific interview with Kasky on the Ben Shapiro show. I was so impressed, not only on the way he carried himself…but in his emotional maturity. Far more that many adults I’ve met and interacted with in my lifetime. Kasky: “One of the lessons I’ve learned since starting MFOL, and this was a difficult one to grasp, is that surprisingly enough I don’t know everything. As a 17-year old boy who thought he knew everything – that threw me for a loop. This summer I was in Texas, as a part of MFOL efforts. I spoke to some people and realized that maybe the people who disagree with me…don’t want the country to be a bad place. Maybe they just have different views. Prior to this, my mindset and perhaps being brought up in a bit of a bubble, had me believing that anyone who didn’t agree with me had malcontent. That people who didn’t agree with me on gun laws simply didn’t care that kids died…and that’s certainly not the case. Kasky started an organization called Middle Ground – to help different sides of issues come to better understanding and exchanges on views. Then to seek to find common areas of agreement or compromise to start moving this country into a more positive future. Though my personal opinions on gun control haven’t changed…but my OPINIONS on OPINIONS have changed. He is also starting his own podcast called Cameron Knows Nothing – where he will invite guests on to learn from, and exchange thoughts and views with. If it’s anything like his past efforts, his genuine heart and passionate spirit will lead to many open ears and open minds. 1. Presumptions about others often lead to false conclusions.It’s great to be passionate and have your own views and beliefs – but seeking to control, rather than to listen and learn from others can impact the quality of your growth and relationships. 2. It’s never too late to learn, change, and grow. I get that Kasky is only a teenager, but his actions are inspirational. So many people would, in light of being thrust to such a high national presence, feel obligated to stay with the views or group association that got them there – even if their feelings had changed. Kasky was not only honest with himself, but took action upon and consistent with those feelings – despite what others would think. 3. That sustainable change often comes from empowered individuals. So often we look to our bosses and leaders to make or embrace a change that we know is right or needed. But we often sell ourselves short on what type of change WE can make personally or with small numbers of others. There has never been a more needed time to positively impact our families, communities, workplaces, and online environments than right now. Remember that people are emotional creatures, who often get inspired by, and give support to those with passionate, genuine hearts.